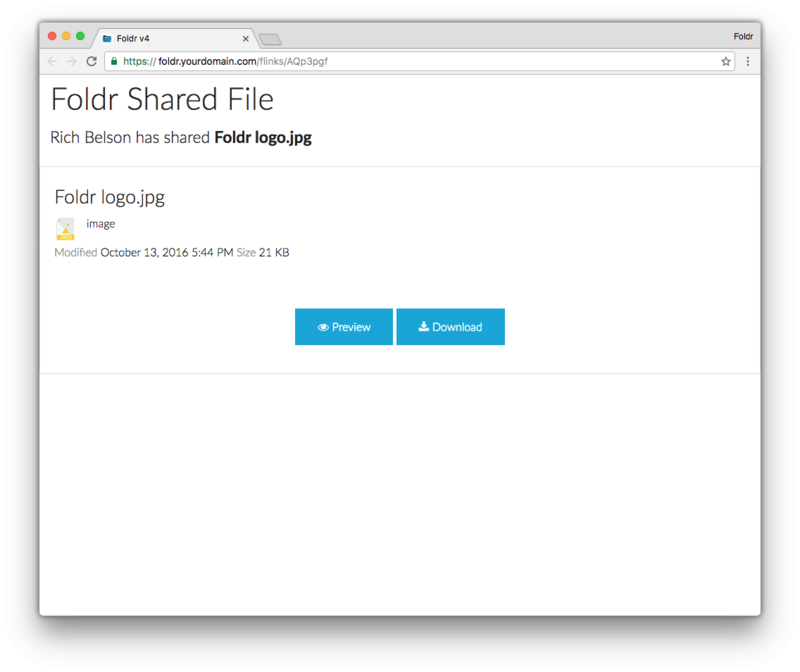 With Foldr 4, we introduced more efficient and powerful sharing tools. As a result fLinks were retired as a feature. 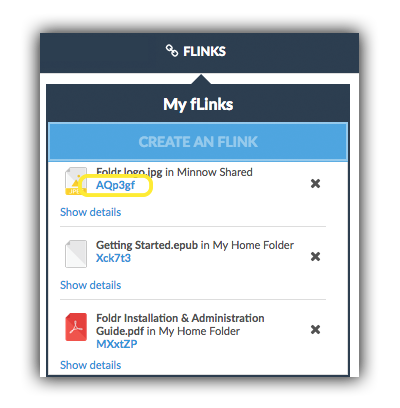 If you have previously used fLinks to share files and folders you may want to ensure that those fLinks still connect to your previously shared content. 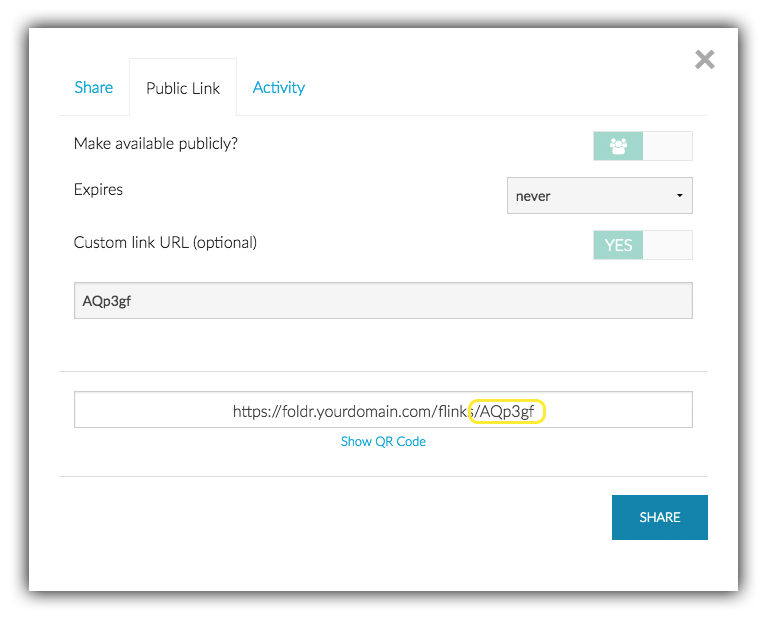 In Foldr 4 you can create custom public links to link to this content. Here we will show you how. First, locate the code of your fLink. This can be found in the web interface and iOS app. In this example the code is ‘AQp3gf’. You can now share this link. 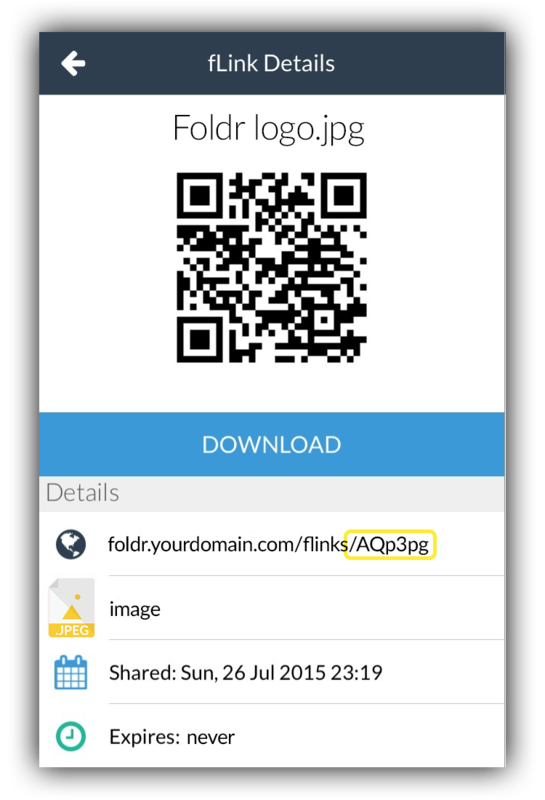 When a recipient opens this link they will be shown the same files/folder as the original fLink connected to.